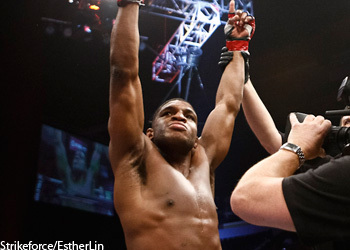 Controversial welterweight Paul Daley (Pictured) has requested and was granted his release from Strikeforce. Wad Alameddine of Fight Management Limited confirmed his client’s unemployment status in a press release issued Saturday. Alameddine fingered extended layoffs as the reason for their split with the Zuffa, LLC-owned company. However, he claims they have separated on good terms. “I’m happy that Strikeforce has granted my request to be released from their roster as I found it difficult to fight so infrequently,” Daley expressed. “My whole career I’ve wanted to fight as often as possible as it keeps me in the best form and condition. Daley has had four stints in Strikeforce over his nine-year career. He posted a mundane 2-3 mark for the promotion, losing his last three scraps inside the hexagon. While there should be several organizations interested in bringing the 29-year-old on board, don’t expect for the UFC to come knocking on his door. Daley sealed his fate with the planet’s premier MMA promotion when he sucker punched Josh Koscheck after the bell in a lopsided loss at UFC 113. “Semtex” was fired immediately following the cheap shot.